Do you want to take great food photos but you don’t have the time or bandwidth for photography classes? Are you frustrated by your food photos looking blue or yellow? Do you just want someone to tell you what to do? Hi there, I’m Rebecca and I’ve been a professional photographer for more than 15 years. I coach food bloggers, food business owners and nutritionists to take better photos. Perhaps just like them you’re frustrated when you invest in an expensive DSLR camera and lenses to improve your food photography and get unpredictable results. You’re told by fellow food bloggers in Facebook groups that you need to spend hours or days in photography classes to fix that. Then they recommend online or in-person courses that are ANOTHER investment and time you don’t have. All the while, your vision of having a successful food blog or business seems further and further away. 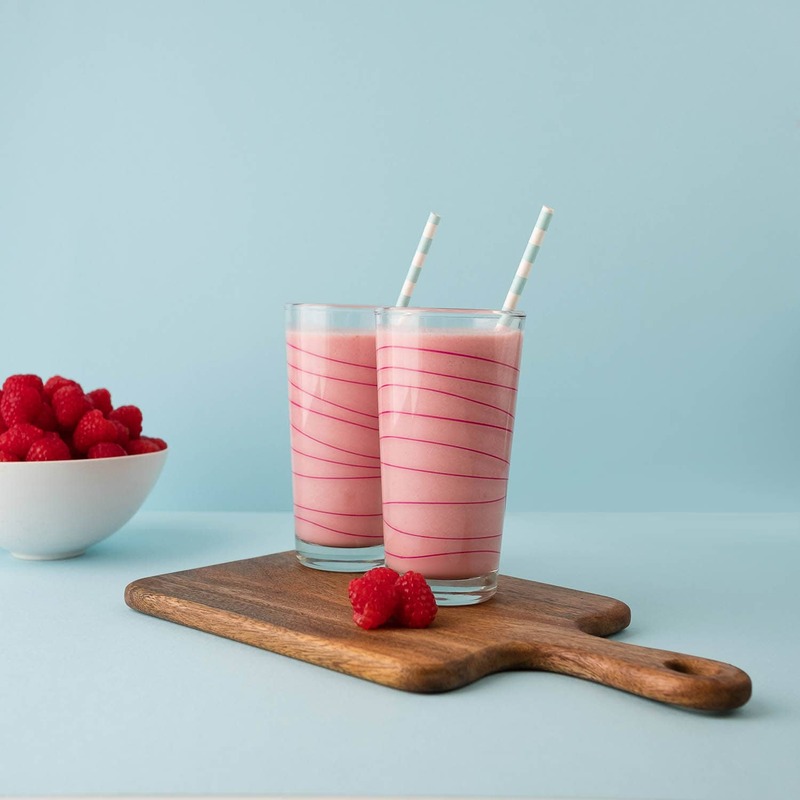 I built a simple template system that you can use to take photos of your recipes, ingredients and smoothies that give you great results every time without learning photography. 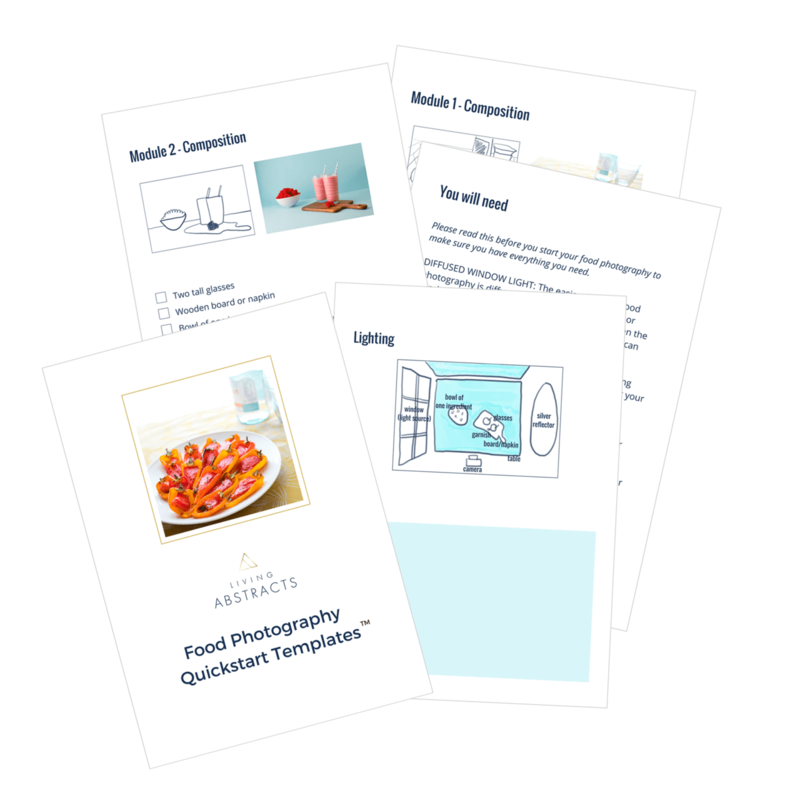 These are the Food Photography Quickstart Templates. It tells you what to do: what camera settings to use, how to layout out your props (assuming simple ones you most probably already have at home) and exactly how to use natural light coming in a window or door in your home. There are three different templates: two for plates of food and one for drinks or smoothies. 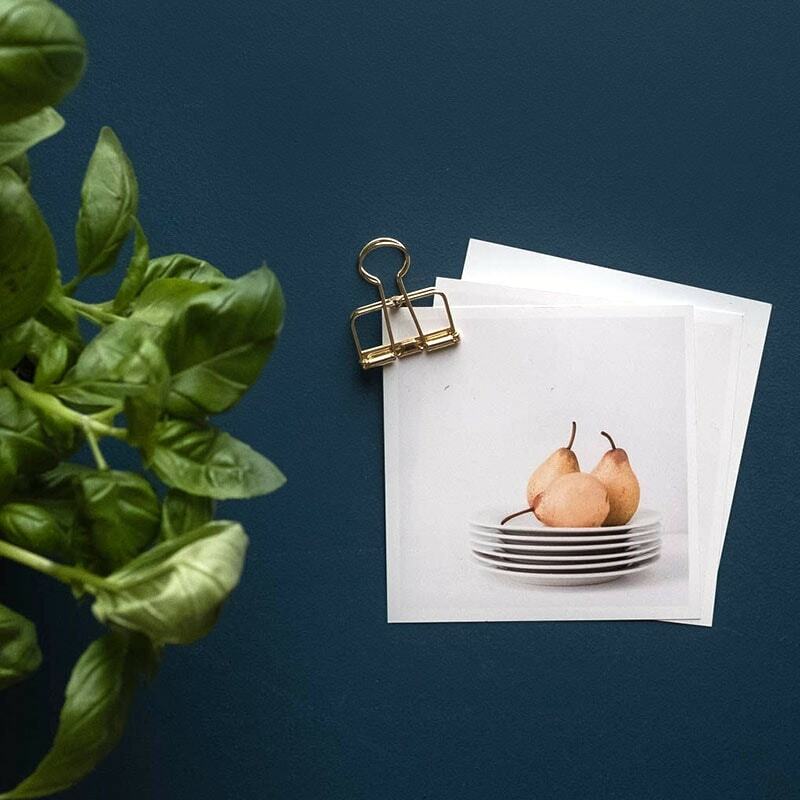 the templates include a bonus Troubleshooting Guide that explains what to do if there is not enough light for your food photos and how to stop your photos being blue or yellow. Imagine taking stylish food photos that drive your food blog or business forward so that you can get back on board with your plans – whether that’s earning a full-time income, a fun and profitable side hustle or simple pleasure of taking beautiful photos of your food. You can take great food photos using the Food Photography Quickstart Templates.